Do your carpets need cleaning? If you have answered yes, get in touch with Keep Clean today. As the best carpet cleaners Bolton has seen we will use our skills and expertise to deliver unbeatable results. Why waste money on a new carpet when our team can completely restore your existing one. At Keep Clean, we specialise in providing a service to tackle even the most stubborn build up of dirt and stains. Our Bolton carpet cleaners will use cutting-edge tools and equipment to deliver a deep clean that will have you almost convinced that the carpet is brand new. Starting from as low as £35 our carpet cleaners in Bolton will begin by vacuuming your carpets and treating any stains. This is quickly followed by a thorough agitation and hot water extraction to remove all dirt and soiling. Additionally, our domestic services can tackle mattresses as well as leather and fabric upholstery. Best of all, your carpets will be dry within 2-4 hours. 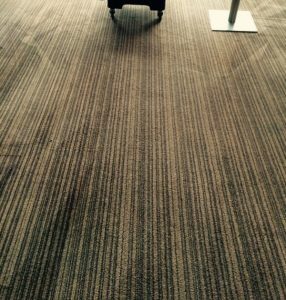 If you are looking for the most trusted commercial carpet cleaners Bolton has experienced then look no further than Keep Clean. Hotels, restaurants and public houses are our specialities though we can also provide services for other clients such as schools, hospitals and offices. Whatever your needs, our company can tailor cleaning packages to suit the needs of your business. If you have any questions that you would like answered, do not hesitate to call up our team as we will be more than happy to help. When it comes to providing an eco-friendly service that is committed to saving you money Keep Clean are simply the best. Our carpet cleaners in Bolton were established in 1998 and over the years we have worked hard to build a stellar reputation for ourselves. From homeowners and property managers to care and nursing homes and even the local authorities, our client base is as diverse as our services. All of our cleaning staff have been trained to a high standard and our company has been fully approved by TACCA so you can be assured of a high-quality service. Contact our carpet cleaners Bolton company today on 01706 411590 and speak to a member of our friendly team.